Click here for RealAudio version of Conclusion of Trio Sonata, Op. 39, No. 4, 0:59/59K. Click here for TrueSpeech version of Trio Sonata, 61K. Click here for MPEG-2 version of Frülingschrei!, 2:47/653K. Click here for Midi version of Trio Sonata, 2:54/14K. 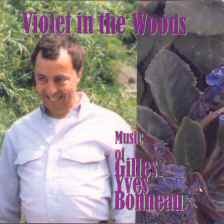 Click here for Gilles Yves Bonneau's Catalog of Music! 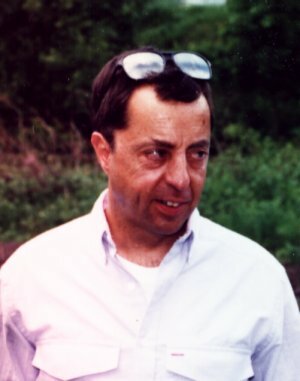 Gilles Yves Bonneau died on Christmas Day, 2002. We deeply feel his loss. Gilles Yves Bonneau was born in St. Jean, Québec in 1941, has lived in several countries, and is now a U.S. citizen. Careers for survival income have been numerous (from administrator to laborer), with the consistent focus on composition. Musical studies were pursued in Montréal, Vermont, and Boston's New England Conservatory. To date, he has written some 170 pieces, in many combinations and styles, the body for chamber ensembles and soloists, including also two symphonies and a cantata of epic proportions. Major features of his work are Bach-like counterpoint and French-influenced lyricism, in delicate intimacy and intricacy. He has served as Treasurer and Director of the Consortium of Vermont Composers. Some of his music has reached New Orleans, Seattle, Tokyo, and Europe. He lives in Seattle. His music is published by Westleaf Edition. The composer says that one of his greatest goals is the universal sharing, understanding, and growth from his works. Sérénade, Op. 27, 1982. For double bass and harp. 15 minutes. Symphonie No. 1, Op. 29, 1980. For orchestra, plus 3 saxophones and oboe d'amore. 30 minutes. Sonate No. 2, Op. 32, No. 2, 1982. For violin and piano. 10 minutes. Spirituals, Op. 33, 1986. For brass trio. 15 minutes. Suite Slave, Op. 34, No. 1, 1985. For oboe and bassoon. 15 minutes. Cantata, Op. 35, 1995, on the poem "Timesweep" by Carl Sandburg. For SATB chorus, SATB soloists, organ and orchestra. 6 hours. Utzenstorfersonatensatz, Op. 36, No. 1, 1986. For bass flute and harp (or guitar). 15 minutes. Variations and Toccata on "Yankee Doodle", Op. 36, No. 6, 1990. For organ. 25 minutes. Seaward..., Op. 39, No. 2, 1992, on the text by Celia Thaxter. For tenor, bassoon, and piano. 10 minutes. Sonate Trio, Op. 39, No. 4, 1994. For clarinet, viola, and piano. 15 minutes.